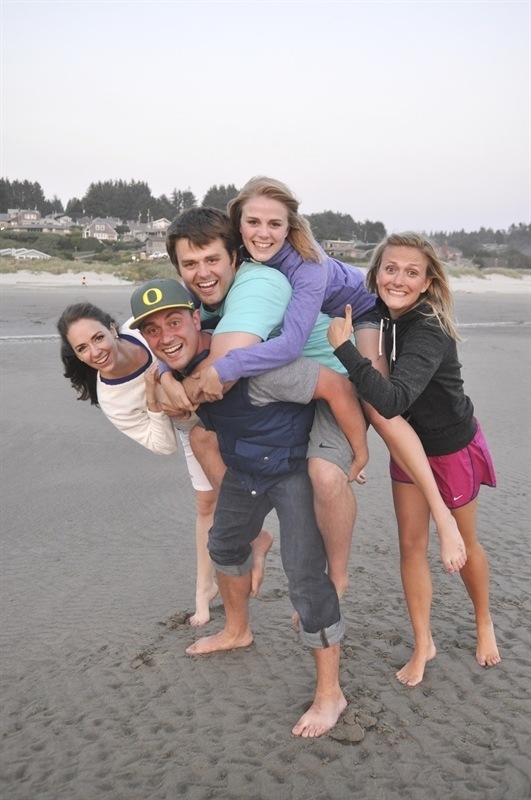 A few weeks ago we spent the week with all of our kids enjoying the Oregon Coast and our home in Manzanita. Of course the best part of the week is getting to spend time with these crazy kids! Man, I love them and miss them like crazy already! It was a glorious week full of lots game playing, golfing, kayaking, beach time, amazing sunsets and s’mores! 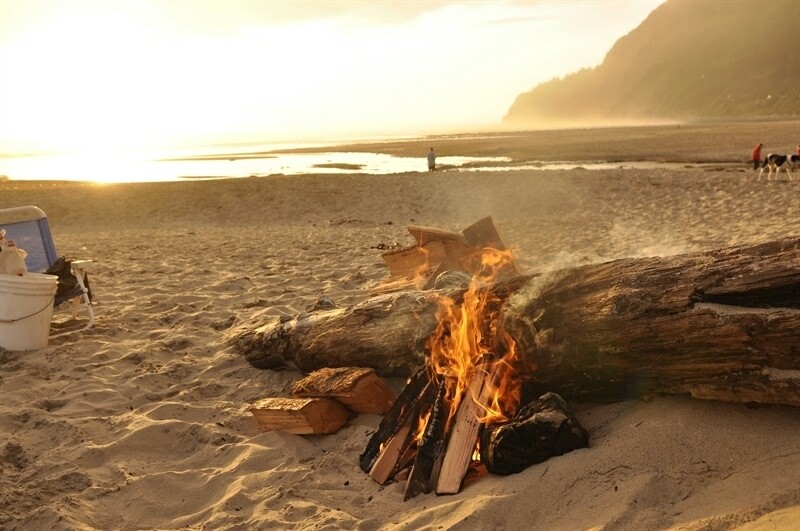 One of our favorite things to do at the beach is to head down there before sunset, build a fire, play some games on the beach and enjoy the sunset around the fire. As soon as the sun has set and the fire has burned down out come the s’mores. 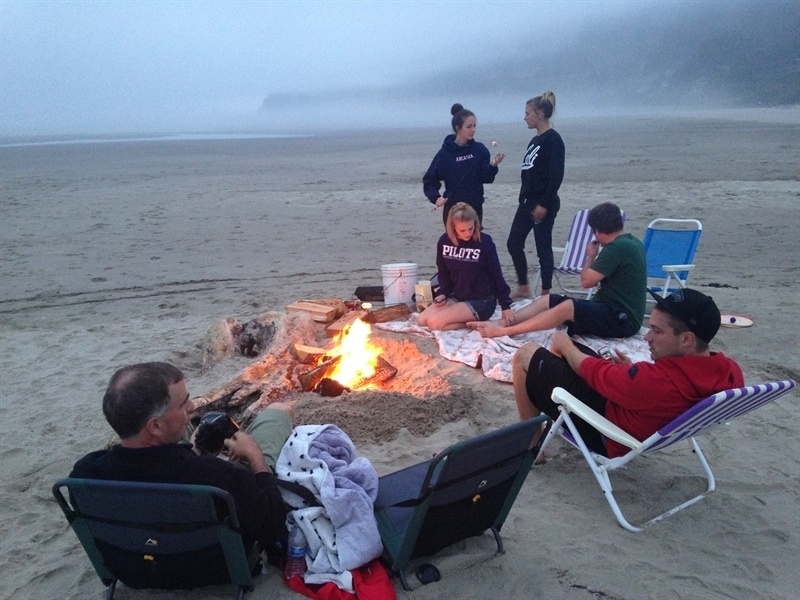 Even when there is not a beautiful sunset to watch you’ll find us down on the beach with a fire making s’mores! I always over buy when it comes to the s’more fixins’. 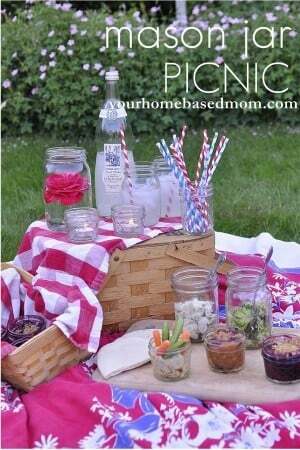 Nothing would be worse then to run out of s’more supplies! So when we got home I found myself with some extra graham crackers, chocolate and marshmallows. So what do you do when you end up with too much s’more fixins’??? 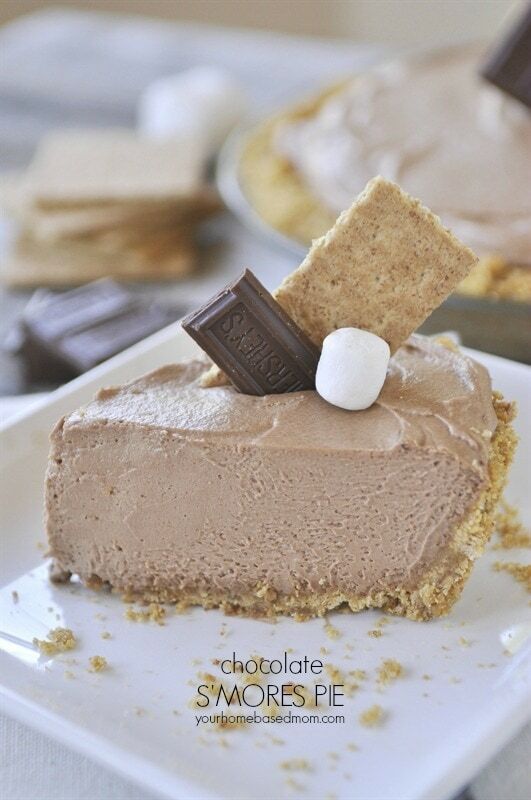 Make Chocolate S’mores Pie. 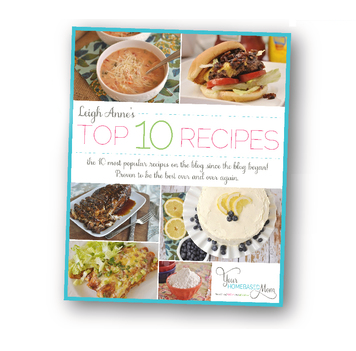 This is a recipe that has been in our family for many years. It was given to my mother by a friend and it has a delicious, fluffy, mousse like filling. 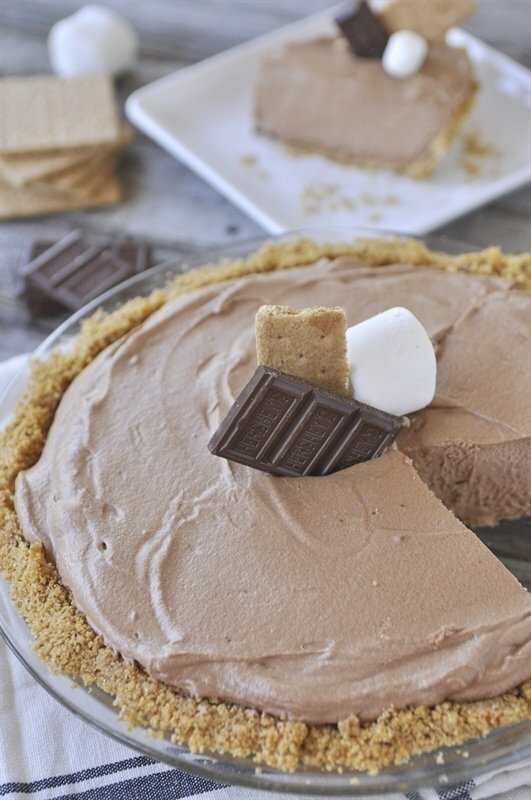 It uses all those s’more supplies plus some milk and whipping cream. 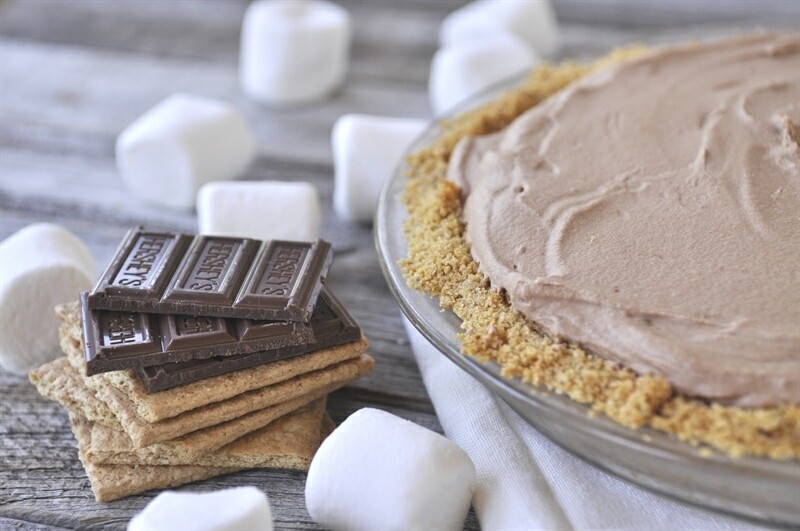 The base of the pie is a graham cracker crust which I make from scratch but you could buy a store bought one but it is so easy to make and tastes so much better and you have the graham crackers on hand, so make it! 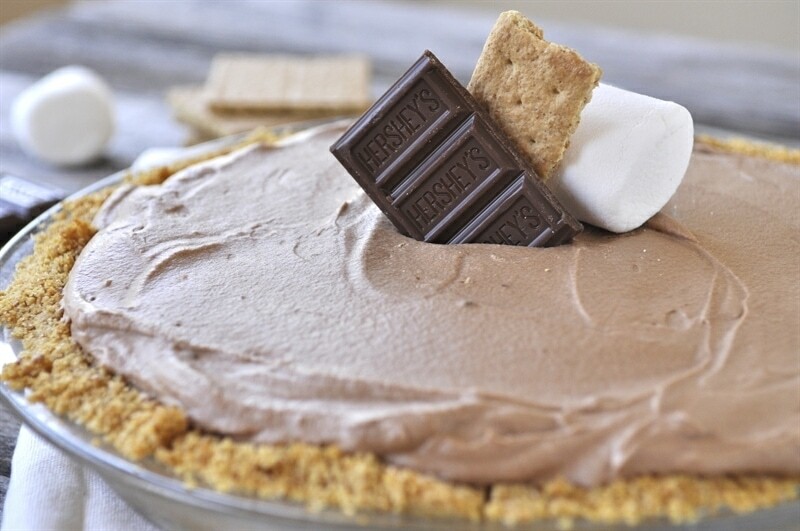 The filling for the pie is melted marshmallows, chocolate bars and some milk. After all that has melted together and cooled you fold it into some whipped cream for a lovely, light, chocolately but not too chocolatey filling! Fill up your crust and then put it in the refrigerator to chill and firm up. 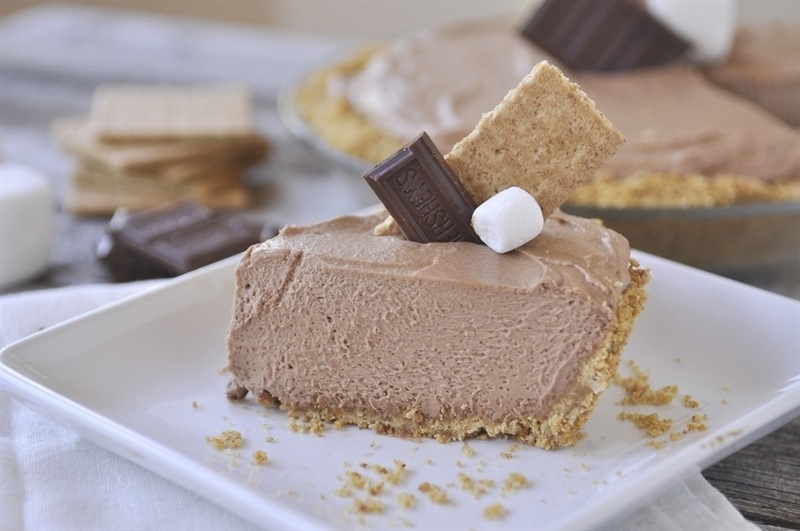 I like to garnish it with a bit more chocolate, graham cracker and marshmallow! Then of course, all that is left to do is enjoy a slice or two! Fortunately for me it was my neighbor’s birthday yesterday so I gifted her the pie so I didn’t eat the whole thing myself! 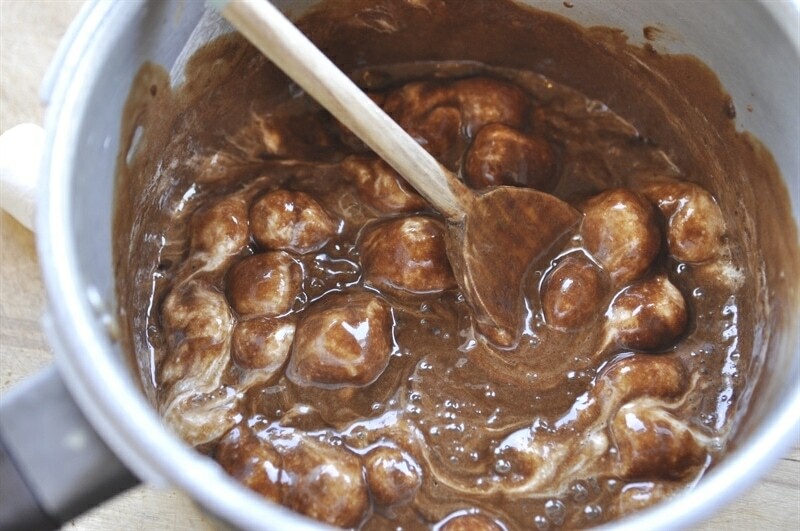 Melt marshmallows and chocolate in milk on stovetop. Whip cream and fold into chocolate mixture. This looks yummy! 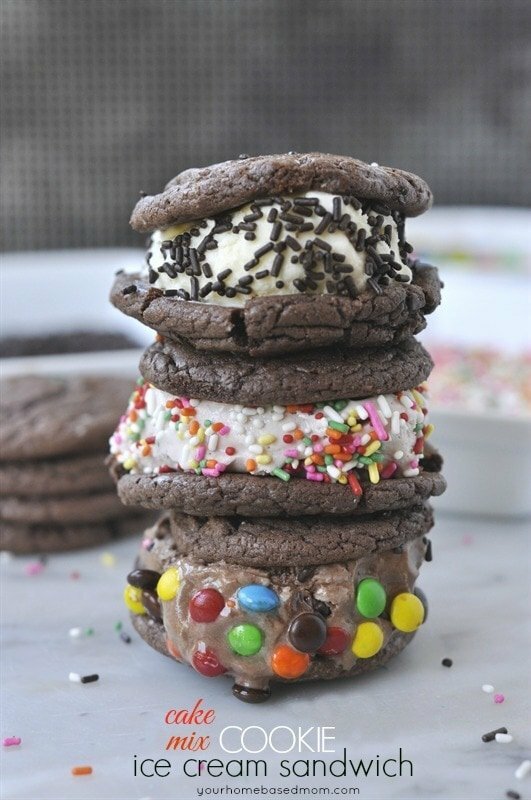 I’m trying to make it for my kids as back to school treat. Quick question: for the chocolate is it 8 oz total chocolate, or each bar weighing 8oz for 48oz total? I was shopping for these ingredients and ran into a snag. That seems like an enormous amount of chocolate if each of the 6 chocolate bars is 8 oz. each. That would be 3 pounds! Is that really what you mean? Sorry – I see how what I wrote could be confusing. It is a total of 8 oz. of chocolate – the bars are 1.55 ounces! 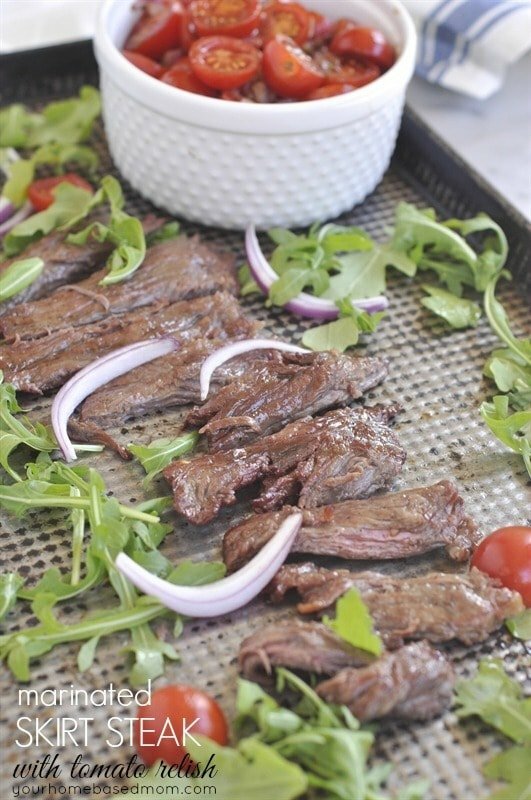 This looks amazing but is it really 1000 calories and 61g of fat per piece (serving)? Please tell me that’s a typo and it’s really the total for the whole pie? Carmen, Yummly calculates that so I’m not sure how they do it but it is a pretty light pie so I can’t believe it is per slice. 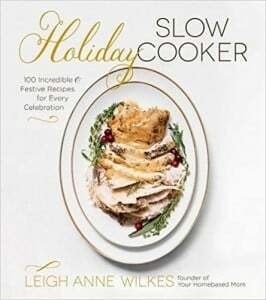 Hello I am making this for Thanksgiving. How long does it keep? could i make it today or wait till tomorrow to enjoy on Thursday? Rachael, it would be fine made a day or so ahead of time. Do you mean liquid whipping cream or a tub of whipped cream? Jasmine, Whipping cream is the liquid cream that comes in the carton and that you have to whip is what you use, Not Cool Whip which I think is what you are referring to that comes in the tub. 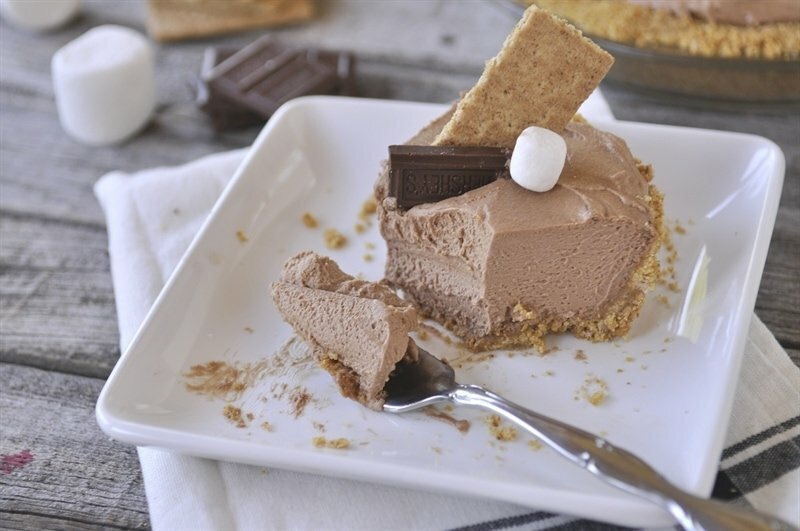 On Smores pie, do you actually make whip cream, with powdered sugar and such? Or just whip the cream straight from the carton? ?